Your wedding invitation is given to all your friends and family who are invited to your wedding and usually your wedding invitation is the first glimpse these people have of your special day. Most couples would want their wedding invitations to be a special item that their guests will remember and perhaps keep as a memento. Yourweddinginvitation.co.uk has been inspired by the need for clear information about choosing your wedding invitations and all the accompanying ‘froufrou’ that makes your wedding day run as smoothly as possible! Your wedding invitation can be many shapes, sizes colours and designs so you need to think carefully about how the design will reflect the style of your wedding and your personalities. We hope that the information we provide will enable you to make an informed choice. 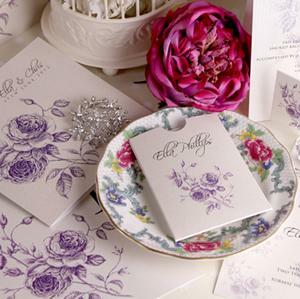 As handmade wedding stationery designers and publishers we speak from experience and hope that the information we provide is both useful for either choosing wedding invitations to match your themes and colours or even designing and making your own wedding invitations. Please visit our sister site www.thehandcraftedcardcompany.co.uk for our own wedding invitation designs and our online Craft Shop for all the items you need for making your own wedding stationery.